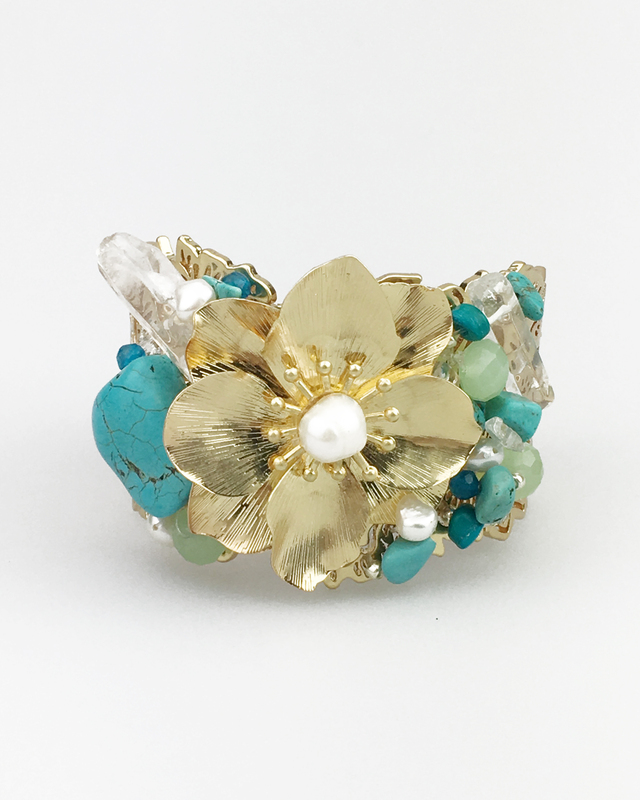 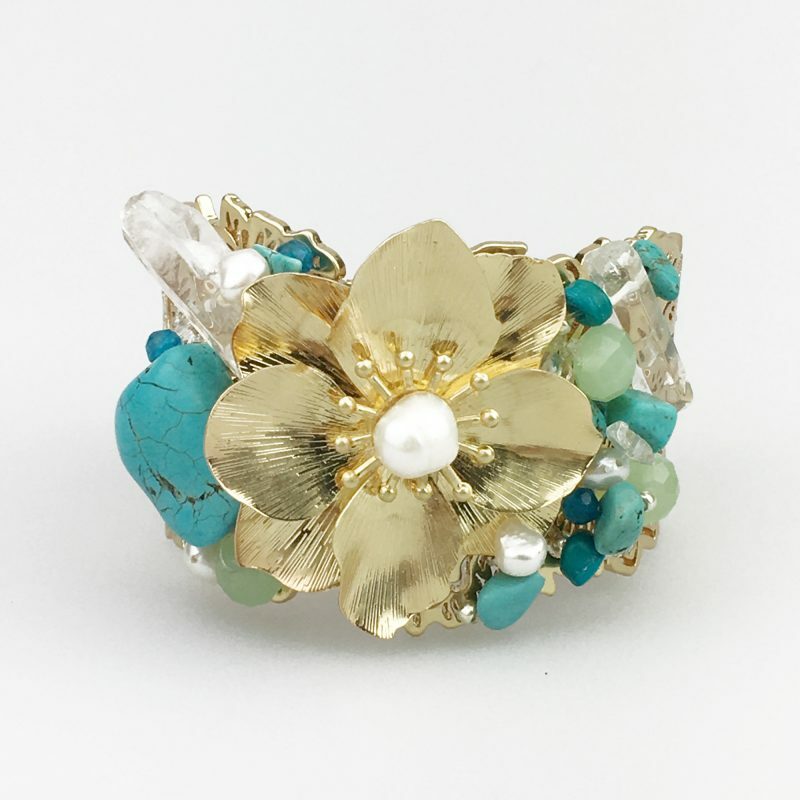 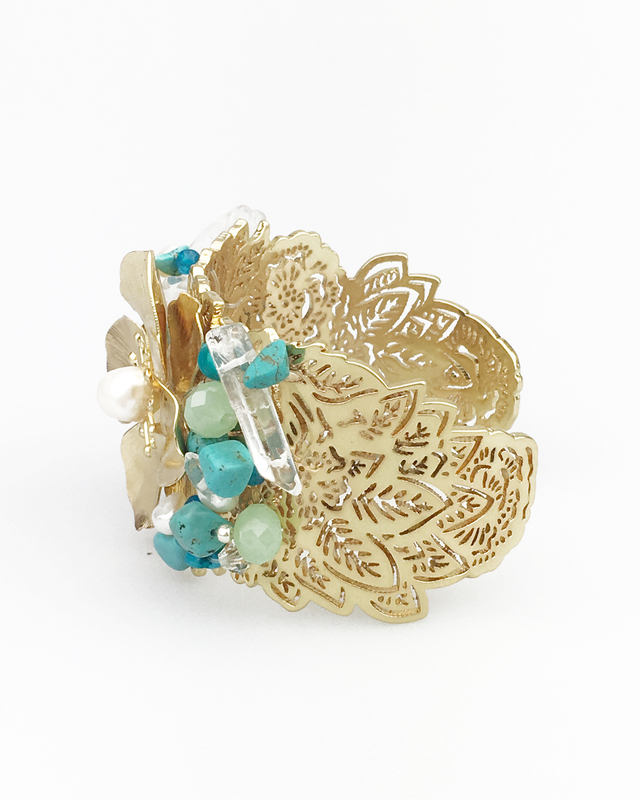 Stunning semi-precious turquoise, fresh water pearls, quartz and pacific opal glass embellished onto an intricate cutwork floral adjustable cuff. 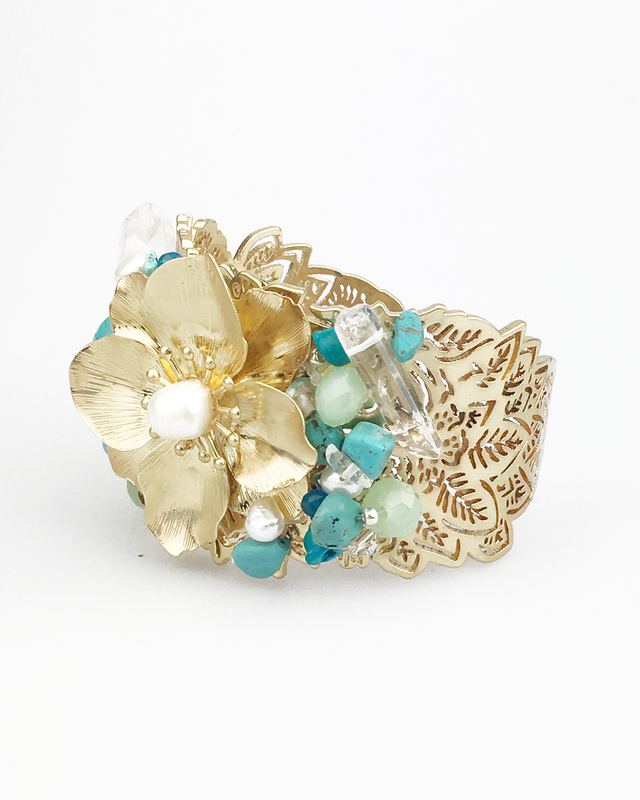 – Suitable for smaller and medium wrists. 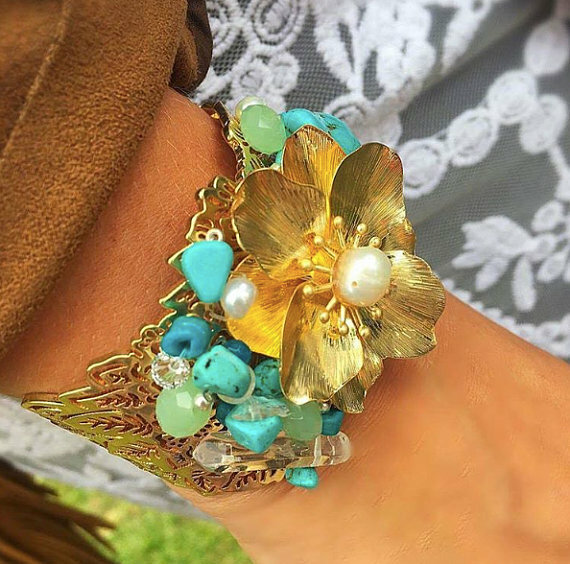 For larger wrists please enquire before making the puchase.